There’s nothing more frustrating than working in the field or workplace with a two way radio and having the battery fail. Not only does it limit your ability to be productive, but it also can lead to safety issues – and that’s one thing a number of companies are trying to avoid. The Motorola XPR7000e series of two way radios is just like many other radio options – and offers a number of different batteries for you, depending on your needs. Each have various features that can drive the efficiency, productivity, customer service, and above all else safety, that you have come to expect from your two way radio. Standard Battery with the Motorola XPR7000e (PMNN4409) – While it comes standard with the two way radio, this is no battery to shake a stick at. Built with IMPRES technology, this high capacity battery (when used with an IMPRES charger) does a lot of the work for you. It automatically reconditions, does not overheat, and provides an end-of-life display. The benefit to you? Maximized talk time and battery life, with very little effort. This battery is rated with IP67, meaning it’s completely dust proof, and waterproof up to three feet, for 30 minutes. Ready to work for you for whatever long day you can throw at it – and can handle the elements and conditions of a number of Canadian worksites. Win-Win. Intrinsically Safe Option (NNTN8129) – When paired with the UL certified version of the Motorola XPR7000e radios, this IMPRES battery is rated at IP67, and built for tough work environments. Using this with the IS rated radios keeps hazardous work environments safe, and will not spark around volatile or flammable substances. If you’re a user of the XPR7550 IS and the XPR7580 IS two way radios (the blue intrinsically safe two way radios), then it’s important to use the NNTN8386 radio battery that is rated for those hazardous workplaces, and will ensure your team can remain safe. Battery for Extra Safety (PMNN4488) – This IMPRES battery has a number of features that are appealing to tough, busy work environments. With up to 25 hours plus of talk time available, and an IP68 rating (fully dustproof and waterproof up to six feet for two hours), this low voltage batteries features don’t end there. When paired with the right battery clip (PMLN7296), the clip and battery vibrate to notify your team of calls. This is so important in noisy work environments where employees are likely to miss calls, but has also been used in really quiet work environments as teams can remain professional and not interrupt those around them when incoming calls come through. It’s important to note that these batteries will work on the XPR3000 (XPR3300 / XPR3500) and XPR7000 (XPR7350 / XPR7550) series, along with the XPR3000e (XPR3300e / XPR3500e) and XPR7000e (XPR7350e / XPR7550e) series of two way radios from Motorola. These are just a sample of the batteries available for you – so don’t hesitate to let us know if there is a feature you are looking for that you don’t see above. 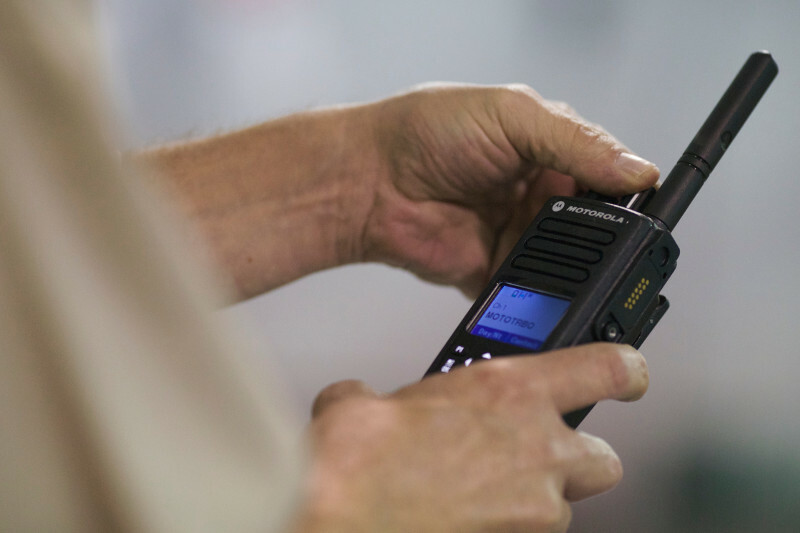 Users of the Motorola XPR7000e series of two way radios are in tough industries, and they need a device that stand up to the day-to-day expectations of the job. But with that comes the need for a battery that can do the same. Motorola puts its radio batteries through the same rigid tests (including drops, shocks and vibrations) to ensure that when users want to relay a message, their radio and battery will not be a problem. Here at Nova Communications, we have more than 30 years in the business, and a thriving team of two way radio experts that are ready and willing to help you with your needs. Contact us today for more information. 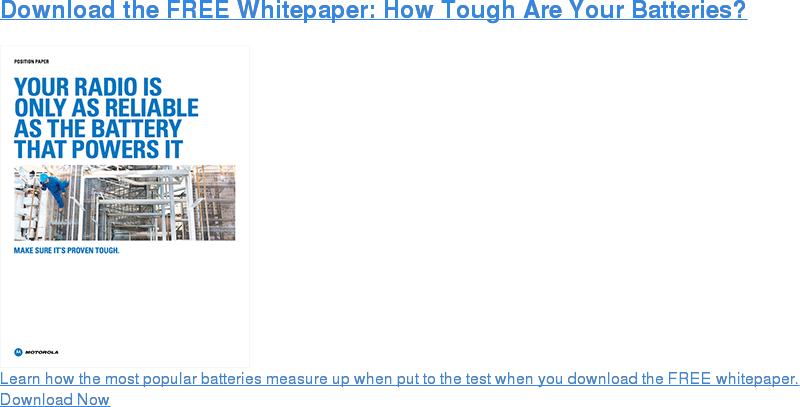 Want to know more about how tough your two way radio batteries really are? Click the link below!